Green Bay, Wi- Every year, roughly 70 elite college baseball players come to Green Bay, WI from all around the country, to better their baseball skills and showcase their talent in one of the top summer collegiate leagues in the nation: The Northwoods League. What most people don’t know is there’s a way to get more involved with the organization and the players than just attending the games. 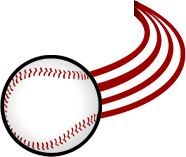 Green Bay Baseball has a Host Family Program where members of the Green Bay Area community are asked to step up and host players for the season.